Long, long ago, around 1910, writer Stewart Holbrook met John Cameron, an old logger who had many stories to tell. 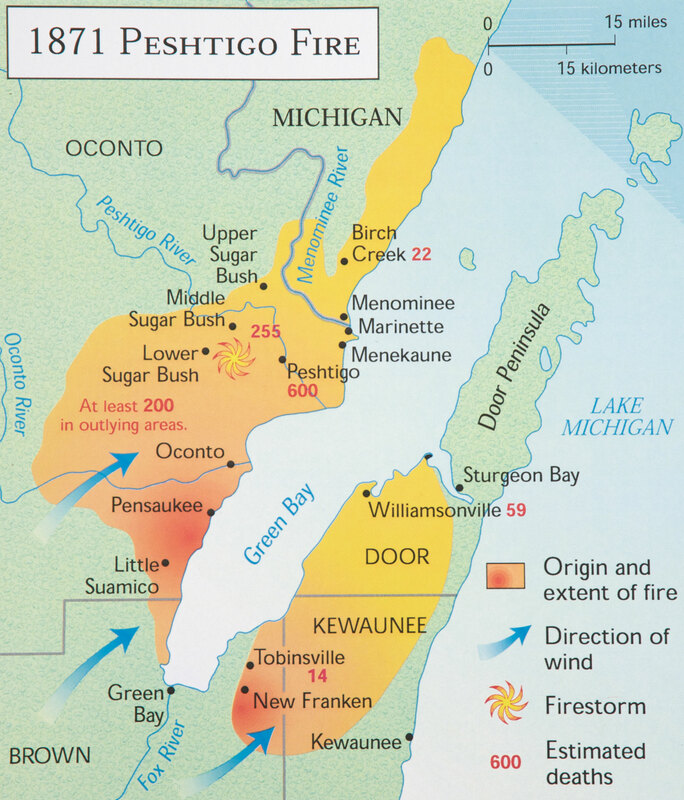 Cameron had witnessed the great fire at Peshtigo, Wisconsin (map) which began on October 8, 1871. The town was a booming metropolis of 2,000 souls on the banks of the mighty Peshtigo River, and a hub for enterprises related to forest mining and wood products. There had been little snow the previous winter, and just one rain between May and September. Streams were shallow, and swamps were drying up. Logging operations left large amounts of slash in the woods (piles of discarded limbs and branches). Slash piles were eliminated by burning, even when it was very hot, dry, windy, and stupid. Sparks and cinders would float off the huge bonfires onto a tinder dry landscape, where they frequently ignited other fires. At Peshtigo, there had been small forest fires in the area during the preceding weeks, but these were commonplace, nobody worried. The morning of October 8 was hotter than anyone could remember, and the air was deadly still. At noon, the sun disappeared. By nightfall the horizon was red, and smoke was in the air, making their eyes run. At 9 P.M., Cameron heard an unusual roaring sound. The night sky was getting lighter by the minute. A hurricane force wind howled through. Suddenly, swirling slabs of flames were hurtling out of nowhere and hitting the dry sawdust streets. In a flash, Peshtigo was blazing — maybe five minutes. The firestorm roared like Niagara Falls. It was a seething, searing hell. Forty people sought shelter in a (wooden) company boarding house, where they were promptly incinerated. Others ran to the bridge, where they met a mob fleeing from the other side, as the bridge burst into flames. The river was the safest place that night. People kept their heads underwater as much as possible, so the great sheets of flame wouldn’t set their heads on fire. Flaming logs floated down the river into the crowd. Within an hour, the town was vaporized. Big lumberjacks were reduced to streaks of ash, enough to fill a thimble. At least 1,150 died, and 1,280,000 acres (518,000 ha) went up in smoke. This is a condensed version of how Holbrook described the Peshtigo firestorm in his book, Burning an Empire. In 1942, Holbrook met an old man who had lived in Peshtigo in 1871. Before the fire, enormous pines grew close to the tracks between the town and the harbor. But now there was nothing along the tracks except some brush and reeds. The fire had erased the ancient forest, and the subsequent fires had destroyed the soil. Holbrook’s book is a collection of stories describing the great forest fires of North America, from the Miramichi River valley in New Brunswick, Canada in 1825, to the Bandon, Oregon fire of 1936. Readers learn about other big fires in Minnesota, Wisconsin, Michigan, Oregon, Idaho, and Montana. The Peshtigo fire gets little attention in our history, because October 8, 1871 was also the date that Mrs. O’Leary’s cow knocked over a lantern, igniting the great fire of Chicago, a city made of wood. Five times more people died in the Peshtigo fire, but Chicago was a major U.S. town. Its fire destroyed more than 17,000 structures. Also on October 8, 1871, numerous big fires raged across the state of Michigan, where it had not rained in two months. These fires destroyed 2.5 million acres (1 million ha) — three times more timberland than Peshtigo. Nobody knows how the Peshtigo fire started. The sparks that ignited the firestorm may have come from twenty different fires. While loggers were often blamed for triggering infernos, settlers were equally careless, and lit far more fires. The Homestead Act provided land to anyone who would clear it and build a shack. The quick and easy way for a settler to clear the trees was to start a fire. Billions of feet of timber were simply burned. Year after year, across the nation, clearing fires burned unattended throughout every summer and fall, causing far more damage than the mighty firestorms — “these friendly little blazes were burning an empire.” Not surprisingly, this was an era of countless forest fires. For example, in just the state of Wisconsin, tremendous fires destroyed huge areas in 1871, 1880, 1891, 1894, 1897, 1908, 1910, 1923, 1931, 1936. The granddaddy of ecology was George Perkins Marsh. In his 1864 masterpiece, Man and Nature*, he described how forests kept the land cooler in summer and warmer in winter. Forests absorbed and conserved moisture. When they were cleared, springs dried up, water tables fell, and rivers became more shallow and narrow. Today, the Amazon Basin is painfully discovering the link between deforestation and severe drought. Holbrook was an outstanding storyteller, a joy to read. But he was the son of a logger, and he worked as a logger when young. He witnessed the great fire at Tillamook, Oregon in 1933, and he later oversaw fire prevention efforts in the state of Washington. I doubt he read Marsh. Holbrook noted that during the logging binge in Minnesota, water tables dropped, and lake levels were up to eight feet lower. He thought that this was the result of excessive swamp draining. He didn’t understand that deforestation and drought are directly related. He blamed the great fires on human carelessness. Between 1933 and 1937, fires burned an average of 36 million acres (14m ha) each year in the U.S., and only eight percent were caused by lightning. Today, progress, carelessness, and arson continue to be, by far, the primary cause of fires. Holbrook was a proud American. He admired growth and prosperity. The timber industry was cool, except for its fire booboos. He didn’t think like an environmental historian, who would perceive deforestation itself to be an act of carelessness. He wrote, “Cutting a forest does not destroy it.” Twenty-first century ecologists would never say that, because forests are far more complex than just a bunch of trees. Nor would they endorse aggressive fire suppression, as Holbrook did. Importantly, Holbrook reminds us about what life was like in simpler times. At Peshtigo, there was no railroad line to the outer world, only a six-mile track from town to the harbor. Prior to the fire, the telegraph line to the outer world had been cut by an earlier fire. They had no radio, telephones, or internet. They had no automobiles, fire engines, or water bomber airplanes. In the coming decades, as we move beyond the cheap energy bubble, the world is going to return to a similar state of simplicity, one way or another. At the same time, climate change and foolishness are going to weaken or eliminate many of the forests alive today. We live in interesting times. Be careful with matches! 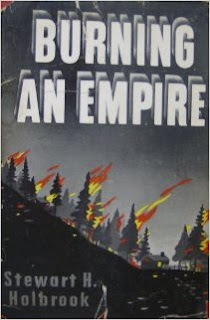 Holbrook, Stewart H., Burning an Empire, Macmillan Company, New York, 1943. *George Perkins Marsh’s book, Man and Nature, is a free download away. A scanned version (huge file) can be downloaded from here. Amazon offers a free Kindle download (tiny file) of the 1874 edition, The Earth as Modified by Human Action, here. Free software for reading Kindle books on your computer, tablet or phone can be downloaded (click the link below the book cover). 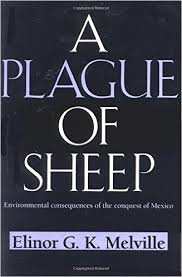 Elinor Melville’s book, A Plague of Sheep, is a scary story about the Valle del Mezquital, a valley north of Mexico City. Spanish colonists arrived there in 1521. Melville describes the tragedy that occurred between then and 1600. The valley is located at high elevation in a tropical region. It has a cool and arid climate. Valle del Mezquital means “a valley where mesquite grows.” It got this name late in the seventeenth century, after it had been transformed into a barren land by an ecological revolution — a plague of sheep. For the first hundred years of Spanish occupation, epidemics repeatedly blasted the natives, who had no immunity. Between 1519 and 1620, the population of Mexico fell by 90 to 95 percent. The Aztec and Inca civilizations were overwhelmed. When the Spanish arrived, the densely populated Valle del Mezquital was home to the Otomi people, descendants of the once mighty Toltecs. They were farmers who grew maize, beans, squash, chilies, tomatoes, amaranth, sage, and other crops. The surrounding slopes were a mix of grass and forest. Vegetation cover kept the soil moist, and there were a number of flowing springs. This water was used to irrigate the fields. As the native population was reduced by disease, cropland was abandoned, and became available for grazing. The Spanish brought livestock which exploded in number because there was abundant vegetation and they had no competition from indigenous grazing animals. Overgrazing radically altered the existing plant community, leading to irreversible changes. The valley experienced an ungulate irruption, in which abundant vegetation is converted into abundant livestock that zoom past carrying capacity and then crash. Eventually, some form of equilibrium is reached. In many ways, it’s similar to the primate irruption that we’re experiencing today. The cattle and horses could not be convinced to leave crops alone, so the herding eventually majored in sheep. This is not a story of paradise transformed into parking lots, because the land was not a paradise in 1521. Indians had lived there for thousands of years, and agriculture had not improved the land. It encouraged erosion and other problems. Without manure from livestock herds, soil nutrients were depleted. The megafauna extinctions of the Pleistocene eliminated most species of large animals that may have been suitable for domestication in the Americas. The Incas had llamas. On the plus side, by not having livestock herds, Native Americans suffered little from infectious diseases until the Europeans arrived. I got curious about the diet of the Indians. It must have been similar to what the Aztecs ate in Mexico City, south of the valley. Wikipedia informed me that Aztecs ate a number of wild animals, including fish, fowl, gophers, iguanas, salamanders, deer, crayfish, grasshoppers, ants, larvae, and insect eggs. They also raised three domesticated animals for meat: turkeys, ducks, and dogs. With the introduction of sheep, and the intensive overgrazing, the vitality of the Valle del Mezquital was sharply degraded. The Spanish had no experience with grazing in this ecosystem. Their culture was market driven, and maximizing the production of commodities was the path to prosperity and respect. They lived as they were taught to live. Garrett Hardin’s essay, The Tragedy of the Commons, declares that common lands are typically degraded by selfish careless use, while private property is lovingly nurtured by owners, because they have self interest in the long term productivity of the land. But in the Valle del Mezquital, most of the overgrazing was done on private lands. The owners were not illuminated with perfect knowledge, and they blatantly disregarded local limits on herd sizes. Melville asserts that what happened in the valley was nothing more than the result of good old fashioned ignorance. They didn’t know what they were doing, so they could not foresee the long term consequences. I fell out of my chair. Ignorance! It’s so trendy to blame our woes on capitalism and mobs of insanely ambitious greed heads. But our culture strongly encourages us to pursue wealth and status, by any means necessary, to the best of our ability, till the end of our days — Donald Trump is the ideal. Our culture disastrously fails to provide everyone with a competent understanding of ecology and environmental history. Imagine what this world would be like if we ever produced just one well-educated generation. Our bizarre planet-wrecking mania would be cured. Yippee! Today, the Valle del Mezquital has enjoyed much progress, and is home to impressive refineries, cement factories, and nuclear power plants. It has become a thriving center for the production of vegetable crops. Irrigation now uses surface water (“black water”), which flows downstream from Mexico City, highly enriched with untreated human and chemical wastes. Crops grow like crazy in raw sewage. But salinization of the soil is increasing, which will eventually ruin the cropland. The book has six chapters. Five discuss the Valle del Mezquital, where grazing was introduced into an agricultural region. One chapter discusses Australia, where sheep were introduced to a wild ecosystem. Herders and herds exploded in number. Indigenous vermin, kangaroos, were aggressively exterminated. By 1838, much of New South Wales was “a naked surface without any perceptible pasture upon it for the numerous half-starved flocks.” Grasslands were rubbished in 7 to 20 years. The land dried out, erosion increased, and floods became more frequent. Do you notice a pattern here? Now it’s the twenty-first century, and the civilized world is raging with a devastating pandemic of get-rich-quick fever. Almost all of our graduating scholars are nearly as ignorant as the Spanish settlers about ecological sustainability. All our grads are tirelessly trained to believe that status seeking, via working and hoarding, is the purpose of life — a plague of shoppers. Melville, Elinor, A Plague of Sheep, Cambridge University Press, New York, 1994. Dan Flores is an environmental historian. His book, The Natural West, focuses on the region of the Great Plains and the Rocky Mountains. This ecosystem has been radically changed in the last 300 years, and a number of these changes have resulted in irreversible degradation. Flores has a misty vision of restoring the West, and his work explores issues that contributed to ecological imbalances. We can’t address challenges that we don’t understand. At the time Flores was writing, many green thinkers were indulging in a fantasy that imagined an environmental Golden Age, when the continent had no scars from human activities. Native Americans lived so lightly that they left almost no footprints. Flores was among the scholars who questioned the fantasy. What happened to the mammoths, mastodons, and camels? Where are the wooly rhinos and saber-toothed cats? He noted that many ecosystems were altered by the Indian practice of periodic burns to control the growth of brush, and to maintain grassland habitat that was ideal for bison. 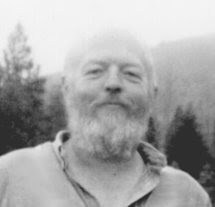 In The Ecological Indian, Shepard Krech wrote that some of these fires grew too large and killed entire herds of animals. Flores didn’t mention the “buffalo jumps,” where herds of bison were driven off the edge of cliffs. Of course, far more impact was caused by the technologically advanced settlers. Never before, in North America, have a group of humans wrecked so much, so quickly. Obviously, we would not be where we are today if hunter-gatherers possessed a level of ecological knowledge that a small herd of ecology experts now have (and the vast herd of consumers really need). If our wild ancestors had possessed wizardly understanding, then pockets of humans would not have reduced carrying capacity via overhunting, leading to the catastrophe of agriculture, and the resulting population explosion. Some Western Indians were bison hunters for more than 8,000 years. Bison can zip along at 35 miles per hour (56 km/h). On the wide-open prairie, sneaking up on a herd unseen, unheard, and unsmelled, required remarkable stalking skills. Then, Spaniards brought domesticated horses to the New World. Over the next 200 years (1680–1880), more than thirty Indian groups adapted horse-propelled bison hunting, which made it much easier to get lots of meat. This very unusual era was recorded by white painters, and it has become a common perception of traditional Native American life. Plains Indians imagined that there were infinite bison, it was impossible to deplete their numbers. Herds had been boosted by the cooler wetter climate of the Little Ice Age (1550–1850). Then, the shift to a warmer dryer trend reduced vegetation growth, which reduced carrying capacity for bison. Meanwhile, the horse population exploded, and horses competed with bison for the same vegetation. Among the many unwelcome gifts brought by settlers were bovine diseases like anthrax. So, it turns out that bison herds were not infinite, and that horse-propelled hunting very likely did not have a rosy future, even if whites had stayed out of the West. The experiment was cut short by industrial bison hunting, which accelerated after the Civil War ended in 1865. It rapidly brought the species close to extinction. I learned a lot from the chapter on the settlement of Utah, which got little notice in my history textbooks. In the early years, Mormon society was strikingly un-American. Rights to water and forests could not be privately owned by individuals. They belonged to the entire community. Joseph Smith believed that animals had souls, as did the Earth. Farms were limited to 20 acres (8 ha) to discourage the emergence of wealth inequality. Unfortunately, their impact on the ecosystem was similar to American communities everywhere. Population quickly grew. Most of the forests around Salt Lake City were gone in just ten years, and not reseeded. Grassland was overgrazed. War was declared on “wasters and destroyers” (wild predators). When the transcontinental railroad was completed, many non-Mormons moved into Utah, accelerating the turbulence by increasing cultural diversity and economic competition. In 1896, when Utah was admitted as a state, they were required to Americanize. Polygamy was banned. Firewalls were erected to separate church and state. Utah leaped onto the free market bandwagon, and grew like crazy. Explosive growth was not kind to the ecosystem. Everyone agreed that overgrazing was dumb, but everyone disagreed on which animals were the problem (not mine!). Americans brought many exotic weeds to the West, causing immense irreversible damage. Cheatgrass displaced native vegetation across large areas. It created biological wastelands, since cattle and wild grazers would not touch it. Cheatgrass was highly flammable. After a fire, exposed soil was vulnerable to erosion and gullying. When it rained, the runoff of water was rapid, leading to sudden floods. By 1930, the risk of repeated floods forced the abandonment of thirteen Utah communities. In the 1930s, four Utah valleys that were once lush grasslands became barren dust bowls. Flores was raised in a Mormon household. He laments that this culture (like most Americans) perceives humankind to be the crown of creation. The Earth is merely a funky waiting room on the journey to paradise, and if we trash it, it doesn’t matter. Many in Utah, and other Western states, want federal lands returned to the states, so that resources can be profitably extracted, as quickly as possible, without the annoying restrictions of regulations (sorry kids). The culture is conservative, and environmentalists are not warmly welcomed. Growth is the god-word. Flores circles the word “animalness,” and suggests that it might aid the healing process. Behaving like the masters of the world has been very harmful to the planet. What might happen if we came to perceive humans as one animal among many, in a circle of equals? Many of the vital lessons in life are learned from mistakes. Flores serves readers a lavish banquet of eco-booboos. The West has been dying for 200 years. What should we do? What does “restore” mean? Is it possible? Are we willing to bury industrial civilization and get a life? Flores, Dan, The Natural West — Environmental History in the Great Plains and Rocky Mountains, University of Oklahoma Press, Norman, 2001.